09. nae ga mwuh uh ddae suh? i requested for the Soulmate OST but i actually found some on my own and I would like to share it with everyone! and thank you to daramji* and everyone else for the wonderful songs! Here are my favorite songs from the sitcom Soulmate ost that I wanted to share. Enjoy! Anyone got 'THE ROMANCE' OST - it's a new movie that's just out on DVD. Loved the film "This Charming Girl", loved this song. Thanks so much, daramji*. Keep up the good work! Can I request for the intimate [Korean movie] OST if it is out yet? Thanks in advance! Also, I really loved the song 꿈꾸는 나비 ("Dreaming butterfly") by 3rd line Butterfly (3호선 버터플라이), and I was wondering if anyone (daramji?? ) would be able to find it?? It's played a lot in the drama... Thanks!! could i request My Boss, My Student OST? i havent been able to find the ost anywhere.. is there even one for this movie? I am looking for "Holiday" Thanks! I went to the list on the 1st page and couldn't find the OST for When Romance Meets Destiny. Is it available? Hi, I'm trying to find a movie OST - "When Romance Meets Destiny". 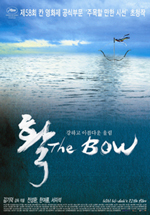 It had Jeong Kyeong-ho (Jung Kyung Ho) as one of the supporting actor. Im really likin the song he sang in a karaoke lounge in the show!! I can't find the ost in the list. Not sure if the movie has another title to it. If it does, can someone direct me to it please. If not then can someone upload it in here !!! 14. geu nyuh eh ge da reun nam ja ga it da myun! I would like to know where can I download OST of Perfect Match (a comedy romantic movie played by Shin Eun Kyung and Jung Jun Ho)..
Thx alot for anybody who response on my request. In The Rainy Day ( TVmovie), there is a song that is played in a scene with a piano, and also is in the end credits. What song is that and could you please upload it here? 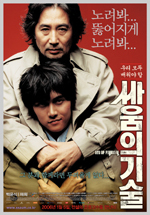 The movie came out in January 2006 on MBC. Thanx! Does anybody have "Lizard/Love Phobia (Domabaem)" OST????? If so, can you PLEASE upload for me???? 07. "sarang hae, mi ahn hae..."
Does anyone have the ost for Ssunday Seoul starring Lee Chung Ah? Hey does anyone know the name of the song that plays in shoot dori? MC Mong - chun ha moo juk! shoot dori! hi i was wondering if anyone has the whispering corridors 4/the voice letter ost? i would greatly appreciate it.. thanks..
01. The Night Chicago Died - Super Junior-K.R.Y. 03. han sa ram man eul - Super Junior-K.R.Y. 09. Drive - Super Junior-K.R.Y. 14. ham gge it seul shi gan dong ahn eun..
02. geu gut bboon ee eh yo - Super Junior-K.R.Y. 08. uhn jen ga neun... uhn jen ga neun..
11. ah jik soo sool eun ggeut na ji ahn ah seub ni da! 17. eui sa gown but gil soo it da neun gut ah na? 19. oppa! hee jae ga noo goo ya? 20. soo sool eun yuh gi suh nae ga tong je ha get ne! 08. nuh wa na neun gat ah..
13. annyoung ha shin ga yo..? You may add this OST on the next update. This is an old SBS drama. Since I didn't see the title on page 1. I'll add it. hi i would like to request my piano (for horowitz) ost please.. i would greatly appreciate it.. thanks..
hi, I was wondering if anybody know or have the tango song that is played in the sweet spy where DO teaches NSM to dance. I think it is around ep 9 or 10, when they have their first kiss. Thanks! 15. umma ra go bool ruh do dwe yo? anyone have 'My Way' by Lim Jeong Hee (임정희) from JYP's Superstar Survival? i'm looking for the songs on the mnet drama Break? Does anyone have the OST for Princess Aurora at the least the song they play in the credits? Can you pls post the OST of the movie "My Scary Girl aka My Sweet and Brutal Lover"? Thanks in advance! Requesting for links to the OST of A Dirty Carnival (aka Mean Streets). OST of A Dirty Carnival please. does anyone have or know where i can download the soundtrack for "I WANT TO LOVE", a daytime drama on SBS that recently finished? Thanks alot. I'm looking for the OST of the movie Dasepo Naughty Girls...anyone can help me? Does anyone have windmill palm grove ost? Thanks!!! 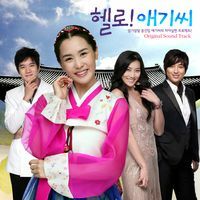 I Love You And It's Alright's OST? 02. sarang ha ni gga gwaen chan ah Piano Ver. Anyone know the name of the song and the singer for the film 'Heart is...' aka 'Maumy' starring Yoo Seung Ho, the song is played through the mv and the trailer. If anyone knows please let me know! Thanks! can anyone upload fugitive lee du young soundtrack.. i couldn't find it.. thanks in advance..
can anyone post fugitive lee dong yong ost plsssss? Any1 got the ost from wontaks angels aka holy daddy =P?? does any1 have the ost for 'the art of fighting'? 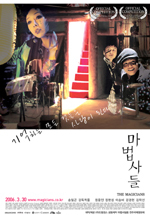 May I request the OST of the film "City of Violence" (korean title "jjakpae")? I would really appreciate it, if somebody could help me... THX a lot in advance! have u guys ever heard about korean movie "the magician"
i,ve been looking for a song which i'm not sure what r the tittle is....i guess it's "SYLVIA"
Does anyone know who sings the song played during the end credits of the movie "A Bold Family". Would appreciate a link if you have it. Thanks in advance.